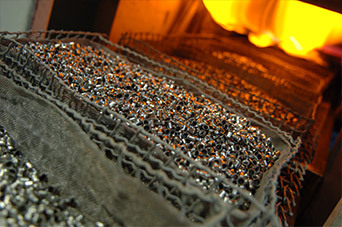 Kepston are uniquely placed in having both vacuum & continuous furnaces for bright annealing. This gives us the capability of handling larger lower volume parts & smaller very high volume parts. The primary purpose of bright annealing is to reduce the hardness of a material to facilitate the progress of subsequent manufacturing operations. Annealing is commonly used to soften materials, minimise residual stresses, improve machinability and increase ductility. 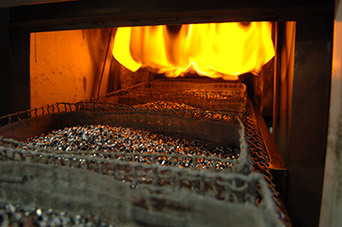 Some annealing requires only minutes at temperature whilst others can be prolonged soak times with controlled cooling rates from high temperatures. Solution annealing is applied commonly to austenitic stainless steels, typically between 1010 & 1150ºC. With unstabilised grades, the treatment must be followed by fast cooling. It is applied as a softening process during manufacture or to optimise corrosion resistance (e.g. after welding) & often it is used to demagnetise the material after it has been work hardened. Stress relieving, normalising and annealing all prepare metals and alloys for further processing or for the intended service conditions. They control the ability of materials to be machined with ease, perform without distortion in service, be formed without cracking or splitting, be subsequently hardened or carburised with minimal distortion or to resist corrosive environments. Stress relieving of carbon or low-alloy steel is frequently the last heat treatment applied, so it must be ensured that the mechanical properties of the materials treated will not be adversely affected. 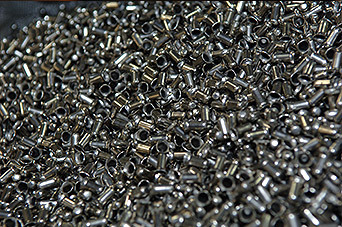 Stress relieving between machining operations can be performed on pre-treated material. The stress relieving effectiveness may have to be reduced to prevent loss of mechanical properties. Please note that there is always a risk of distortion/sagging when high-temperature treatments are applied to vulnerable thin-walled parts or large, heavy components.